As Toolroom Knights celebrates its sixth year of putting on parties - from its summer-long residency at Space Ibiza to the recent TK6 UK celebrations - the birthplace of the prestigious events brand is once again at the forefront of the dance community’s calendar, and plays host to Toolroom Knights at club Panama. To coincide with this party, Toolroom Records’ third annual Amsterdam compilation – ‘Toolroom Records Amsterdam 2012’ - brings together some of the hottest tracks from those headlining the event. With no less than 17 exclusive full-length tracks, highlights include home-grown Dutch talent Rene Amesz’ collaboration with regular Space resident Camilo Franco ‘Get This’, Pete Gooding & Jonathan Cowan taking things deep with ‘Limbo’, Brazil’s finest export Wehbba teaming up alongside Toolroom favourite Filthy Rich for debut ‘D-Range’, Dave Silcox providing a euphoric moment via ‘Four19’, and Eric Prydz favourite Jeremy Olander with ‘Norrsken’. 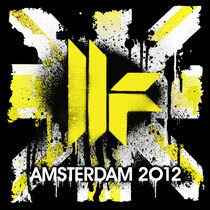 Plus, on the production tip, specifically ahead of their Toolroom Knights 2012 ADE outing, are Mihalis Safras & Siwell, Federico Scavo, Marco Lys, & Toolroom label manager Pete Griffiths, all offering a collection of tight tech-led beats to complement what promises to be another top Amsterdam party. It’s out October 28.